You are God, but forgive me for all the times I treated you like you were a man. I am God, and there is none like Me (Isaiah 46:9). For I am God, and not man (Hosea 11:9). 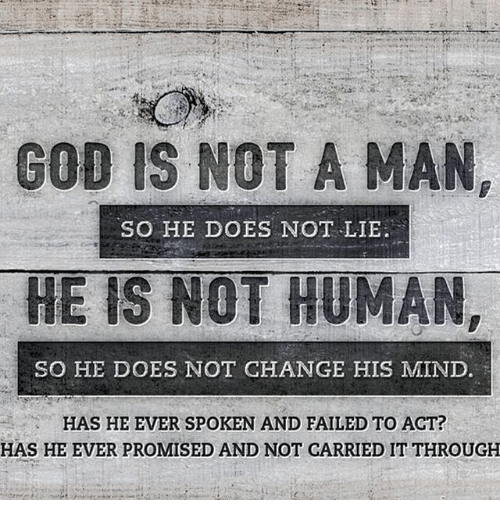 God is not a man, so He does not lie. He is not human, so He does not change His mind. Has He ever spoken and failed to act? Has He ever promised and not carried it through? (Numbers 23:19, NLT). This entry was posted in Uncategorized and tagged failed, god, human, lie, man, promised.